King Street District medians to receive much needed refresh. The Park and King commercial area was one of the first commercial districts that received infrastructure enhancements under the Town Center Program developed by former City Council member Suzanne Jenkins. 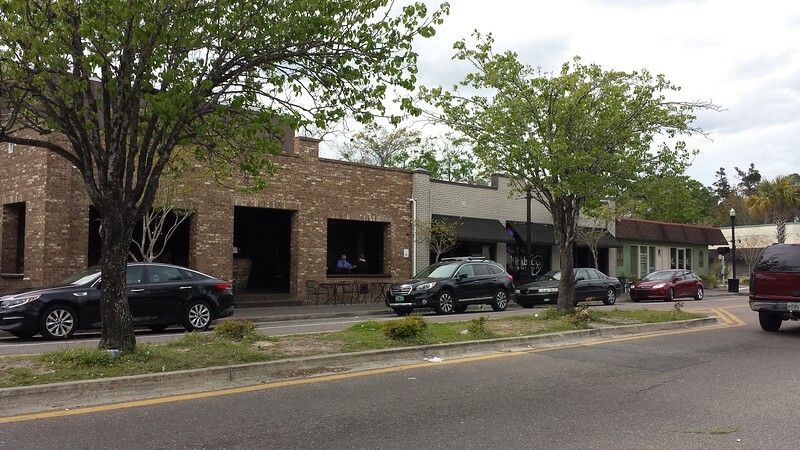 The program’s goal was to revitalize commercial areas of neighborhoods that were 30 years or older, experiencing decline and classified as a collector or highway roadway. Through the program the City would provide planning, design and infrastructure improvements to public spaces along key business corridors in order to encourage subsequent private property enhancements and ultimately spur the kind of small business growth specifically designed to serve the residents of nearby neighborhoods. Spearheaded by King Street property owner, Jim Love, the merchant-based organization Park and King Area Association applied for King Street’s inclusion within the new Town Center Program- aided with $30,000 in private funds that would be used to help fund early engineering drawings and later to offset costs undertaken by the Jacksonville Electric Authority and AT&T to bury utility lines underground. With critical assistance offered from local architect Ted Pappas, the entire process took about two years to complete- beginning with community visioning exercises that culminated with a months-long, phased infrastructure construction schedule and completed in 2005. Through the program, the physical characteristics of King Street were strengthened. This included the installation of new trash receptacles, installation of new ornamental lighting, relocation of overhead utilities underground, widening and repairing sidewalks, installation of clearly-marked and paved crosswalks, installation of handicapped accesses along sidewalk crossings, the narrowing of travel lanes in order to calm traffic, planting of shade trees as well as the improvement and expansion of parking within the right-of-way all in a manner which would create a consistent visual symmetry throughout the district. Originally the Park and King Area Association, made up of business owners among the commercial district, agreed to maintain the medians and planting beds along Park and King Streets. However, as business ownership has changed over the last decade, the organization lost most of its founding members and ultimately maintenance suffered. 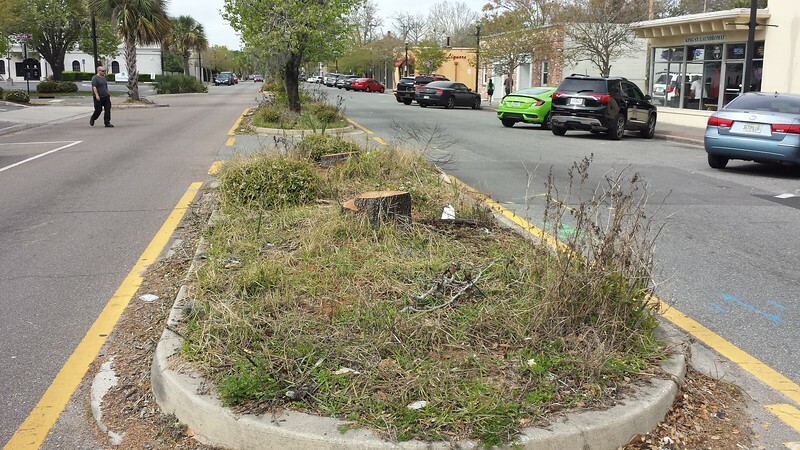 Thanks to a recent lawsuit and quick action by City Councilman Jim Love, the King Street District will be receiving funds to freshen up the vegetation that has helped transform the area into a thriving economic powerhouse. In 2015, the Public Trust Environmental Legal Institute of Florida sued the City of Jacksonville over financial mismanagement tied to the City’s Tree Mitigation Trust Fund - a charter amendment established in 2000 whereas real estate developers pay mitigation funds whenever trees are cut down as part of new commercial or residential construction. The fund then uses these funds to plant trees across Duval County. The City settled the lawsuit and committed $20 million towards the Tree Mitigation Trust Fund to be used for its intended purposes. Councilman Love secured $60,000 of this newfound windfall to update the median and sidewalk planters along King Street. 25 existing trees will be removed, and replaced with a mix of Bald Cypress, Silver Saw Palmetto, American Hornbeam and Crape Myrtles. Whereas the medians were previously filled with Indian Hawthorne bushes, that allowed weeds to ultimately take over the planters to give them their current unkempt look, now Asiatic Jasmine will be used for groundcover. Typically, Asiatic Jasmine or Perennial Peanut are two ground covers preferred to be used in roadway medians, due to their drought tolerance and spreading ability- which generally crowds out weeds. The project is expected to be complete by the Summer. To learn more about the transformation that has fueled the King Street District’s newfound popularity, CLICK HERE.